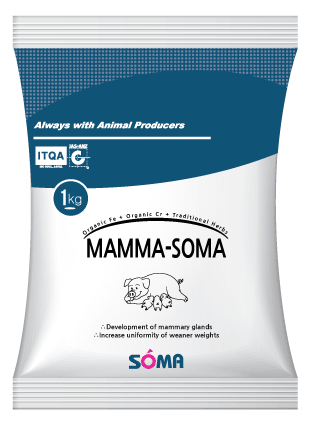 MAMMA-SOMA is a multi-functional, multi-purpose sowmilk secretion stimulator consisting of 29 kinds of nutrients, for increasing milk yield and litter size, extending economic lifespan in sow, and for improving weight uniformity and weaning weight in piglets. 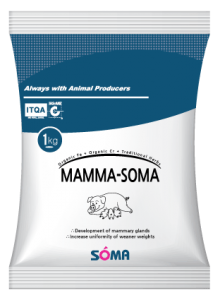 Meat Quality is influenced by so many factors, mainly by genetics and nutrition. 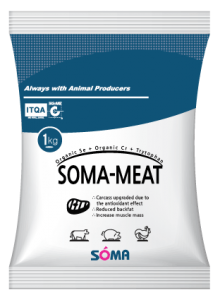 SOMA-MEAT is designed to increase muscle mass, decrease fat accumulation, and reduce drip loss, through modern biotechnological approach without using any chemicals, beta-agonist, or synthetic materials. 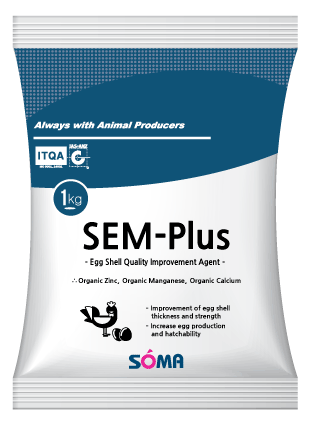 SEM Plus, a mixed organic mineral product with optimum formulation, was manufactured by the various research for the effect on current poultry nutrition. 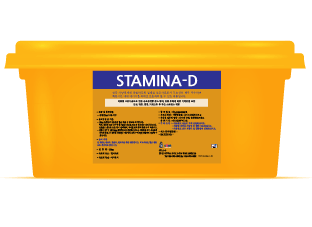 STAMINA-D/V is a complementary feeding supplement for cows to supply energy and essential nutrients in a short time with high palatability. Support cows’ vitality under the situation of grain-driven feeding and lack of exercise. 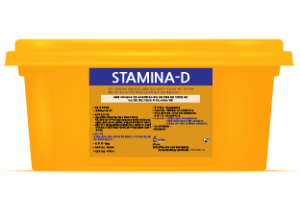 Prevent the production stress such as reproduction, milking, immune, and hoof health. 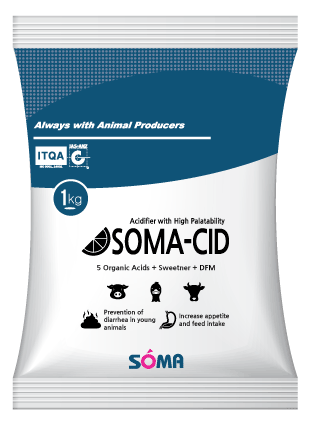 SOMA Inc. has developed a new concept feed additive to boost up the blood circulation, to lower body temperature, and to increase insulin secretion. BETAILCOK stimulates DNA generation rate with improving nutrient synthetic rate in the animal body, resulting in improvement of immune function. SOMA-CID is a multifunctional acidifier containing organic acids, sweetner, lactic acid bacteria and electrolytes with perfect balance for maintaining the equilibrium of the intestinal bacterial flora and preventing diarrhea in young animals. 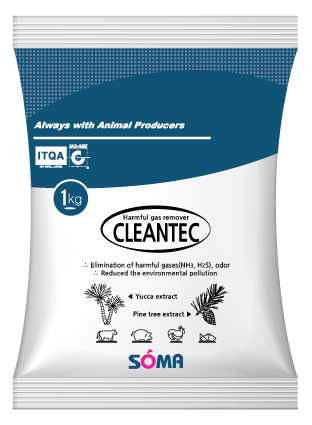 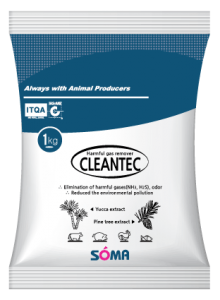 CLEANTEC contains an extract of Yucca Schidigera plant and Pinaceae Colophorium plant know for their ability to reduce and bind ammonia(NH3) and other harmful gases arising from animal waste. 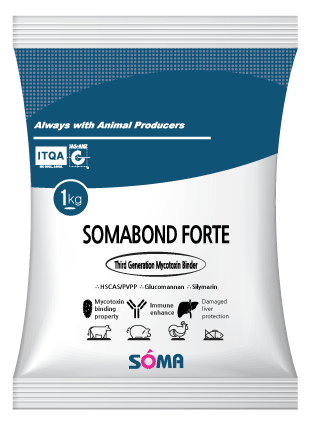 Powder and liquid forms are available. 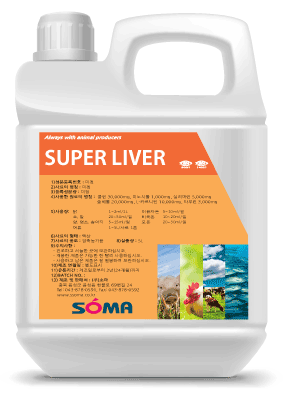 Super Liver has been developed to restore liver function, the central organ of all nutritional metabolism in the body. 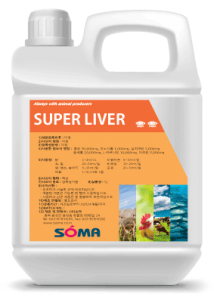 It has all ingredients necessary for the first and second detoxification phases of the liver, and it can prevent various liver diseases as well as improve its function and immunity. Nucleotides exert significant influence on many immunological and physiological functions in all living things. Nucleotides are instrumental in the healthy differentiation and development of the cells in not only cellular immunity but also humoral immunity. 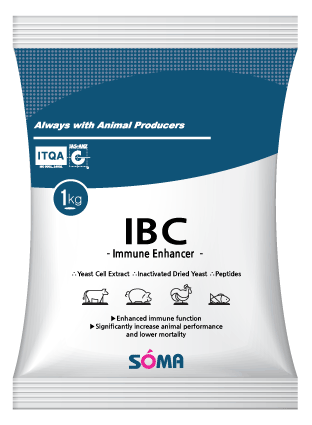 IBC is an immune enhancer with using yeast cell nucleus and cytosol.